You will find a vast selection of fantastic used MINIs at Sutton Motor Services Limited, just waiting for you to drive them away. The great thing about this brand is that it not only makes high-quality vehicles, but that its models come in a variety of colours, so that you can find the perfect one to match your personality. 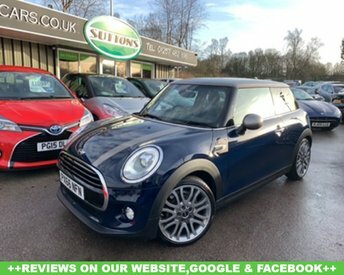 If your heart is set on getting a MINI, you wonÕt find any better deals in the region than the ones Sutton Motor Services Limited has to offer. Get yourself down to our showroom in Chorley and we will help you find your dream motor.